Unfortunately this was the one and only picture that Allison was able to take at this meal because the battery on her phone (which she was also using as her camera) was getting very low. Consequently, I have borrowed a few pictures for this review, giving credit to the source when known, of course. Superfruit Sangria – Made from organically grown grapes and an organic blend of antioxidant Pomegranate, Blueberry, Acai, and Blood Orange juices, topped with VeeV Acai Spirit. They both really enjoyed this, giving it a “Very Good” rating. 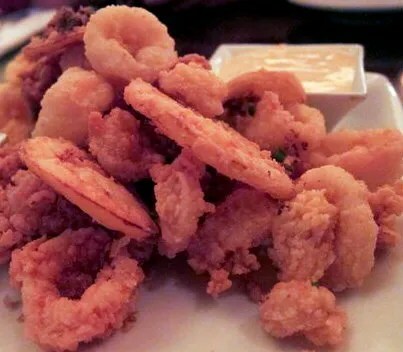 Allison added that it was better than the Calamari that we had Il Mulino. Allison really enjoyed the short ribs and the mashed potatoes with feta cheese. So much so that her friend graciously offered to let her have the whole thing to herself (except for the small taste test that he had) and she gratefully accepted his offer. Again…what a nice friend! 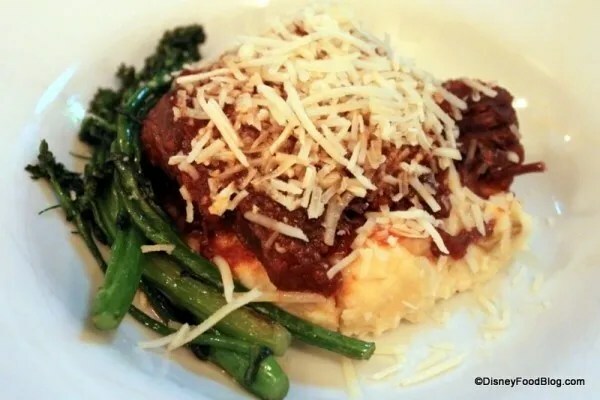 The short ribs and mashed potatoes received a rating of “Very Good”, while the Pork Tenderloin only got a “Good” rating. 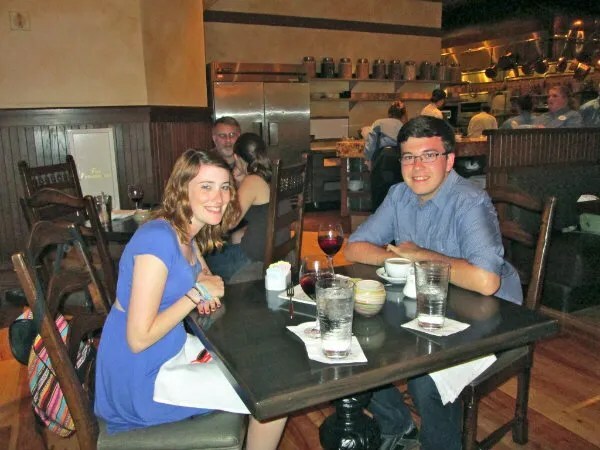 Allison was leaning toward the baklava, as she loves it, but her friend really wanted to try the Chocolate Lava Cake so that is what they ended up having. 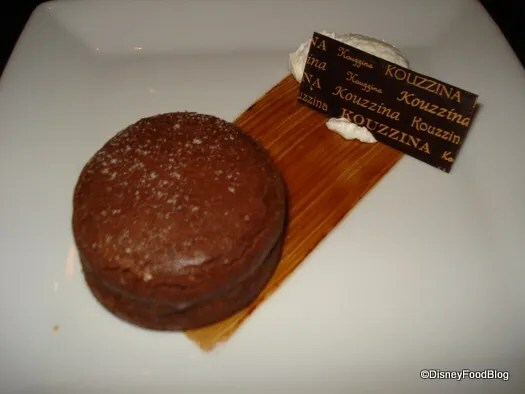 FYI – This picture is also from a Disney Food Blog review done by AJ, but this one was written shortly after the restaurant opened in Sept. 2009. Allison says the cake she had looked pretty much the same as it does in this picture from 2009, so apparently it has changed very little in appearance over the three years. The only difference is that she probably didn’t have the same flavor of sorbet as that pictured, although she can’t recall the flavor she did have??? They were both quite disappointed with this dessert, giving it only an “Okay” rating. 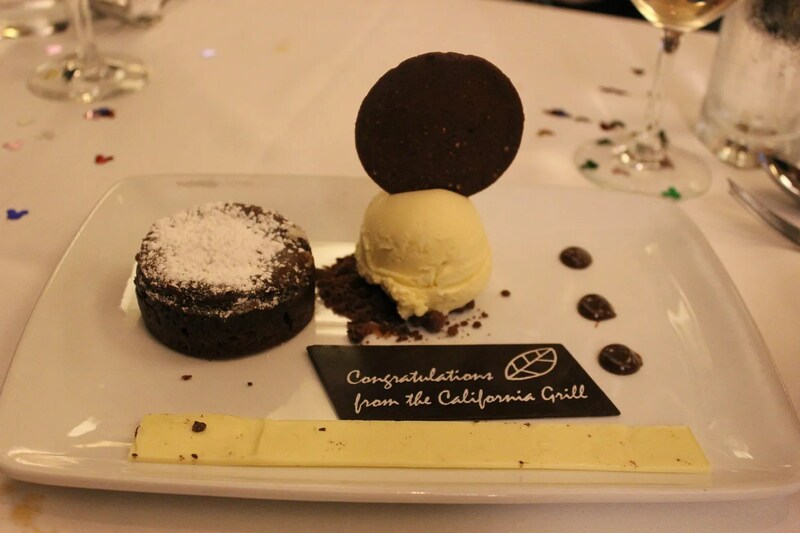 In her critique of it, she commented that it paled in comparison to the similar dessert we had had at California Grill, both in terms of presentation and taste. 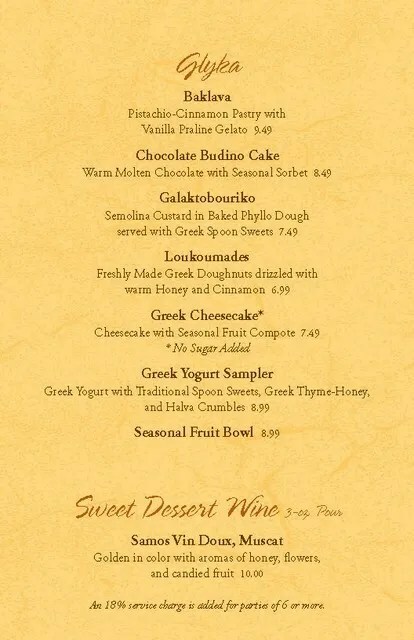 However, since it costs $13 compared to the Kouzzina price of $8.49, the CA Grill Lava Cake should look and taste much better. 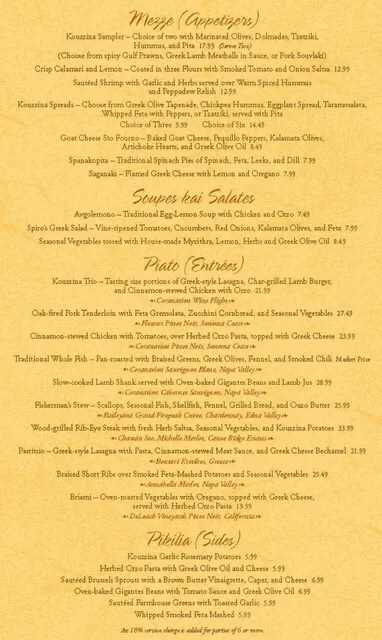 So their overall rating for their meal at Kouzzina was: Good… Opa!! !